The number of cholera cases reported in Haiti through Apr. 8 this year is down significantly compared to the same periods in 2015 and 2016, according to a new report from the Pan American Health Organization (PAHO). 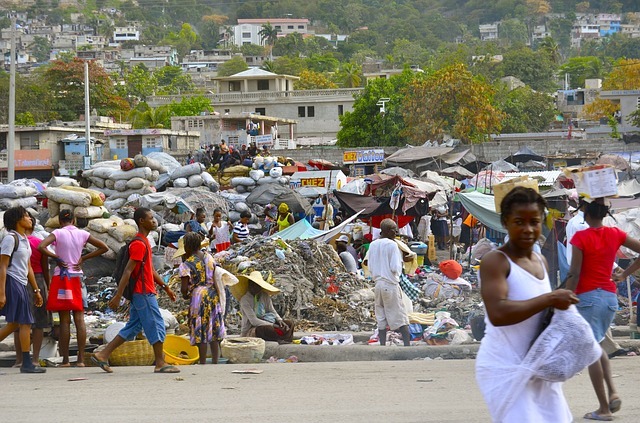 A total of 4,871 suspected cholera cases were reported in Haiti, including 69 deaths to date. This represents a 60 and 61 percent decrease compared to the 12,373 and 12,226 suspected cholera cases reported during the same period in 2015 and 2016, respectively. In addition, the 69 deaths reported in 2017 represents a 41% and 50% decrease compared to the 116 and 139 deaths reported during the same period in 2015 and 2016, respectively. All 10 Departments of Haiti have reported suspected cholera cases during 2017. The five departments with the highest rates in descending order are: Centre, Ouest (which includes the capital city of Port-au-Prince), Nippes, Artibonite, and Nord. Since the cholera outbreak began in October 2010, months after the Jan. 12, 2010 earthquake, 800,665 cases have been reported, including 9,480 deaths. Cholera is an acute diarrheal infection caused by ingestion of food or water contaminated with the bacterium Vibrio cholerae. It has a short incubation period, ranging between two hours and five days. The bacterium produces an enterotoxin that causes a copious, painless, watery diarrhea that can quickly lead to severe dehydration and death if treatment is not promptly given. Vomiting also occurs in most patients. It affects both children and adults and can kill within hours. Person-to-person transmission is not common. Among people who develop symptoms, about 80-90% of episodes are of mild or moderate severity and are difficult to distinguish clinically from other types of acute diarrhea. Less than 20% of ill persons develop acute watery diarrhea with moderate or severe dehydration. People with low immunity, such as malnourished children or people living with HIV, are at greater risk of death if infected. Haitian Hearts is dedicated to saving the lives of children. We bring children and young adults in desperate need of heart surgery from Haiti, a terribly impoverished country only 600 miles from Florida, to the United States for life-saving medical treatment.